Edited to add: The features are now posted! Thanks for being patient. ** So, are you new here? I throw the Hookin’ Up with HoH Party every week to give all of you a chance to find other awesome blogs to read. Below you will find several hundred mini links to other people’s blog posts. Have fun browsing through the links in search of new ideas. Also, if you are a blogger, please feel free to add your own links to the list! Please refrain from posting links to shops and stores. Please note: RECIPES/FOOD is a separate link. Please make sure you are linking in the appropriate section. Involving Home made over their kitchen. 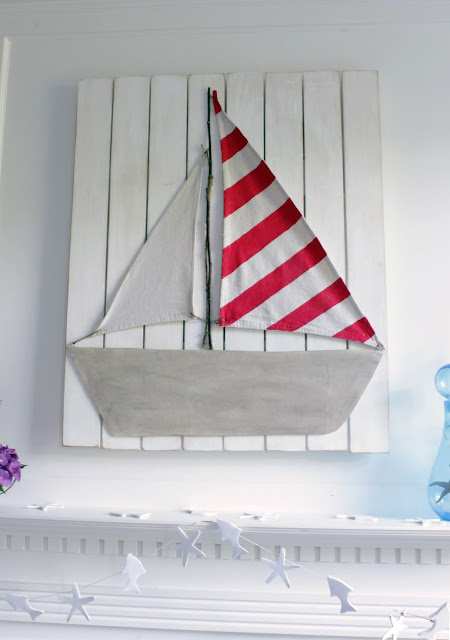 Remodelando la Casa made this beautiful sailboat art. 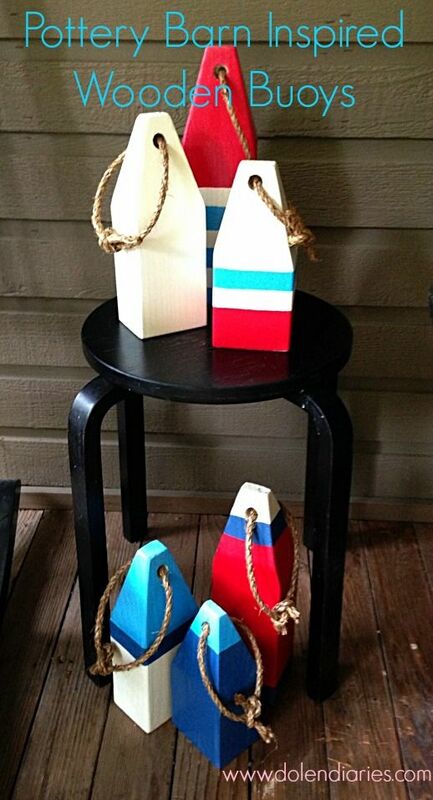 Check out these DIY buoys from dolen diaries. Architecture of a Mom used her vinyl cutter to make a Boba Fett t-shirt. These mini popsicle flags are such a fun craft for kids. Check them out at Made From Pinterest. 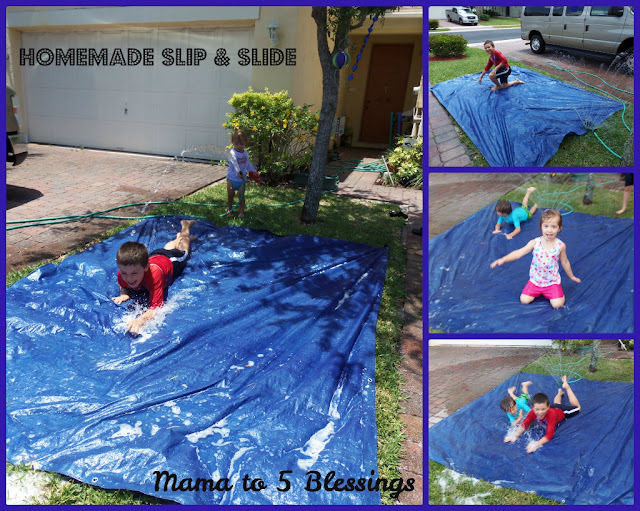 Make your own huge slip n slide with Mama to 4 Blessings. 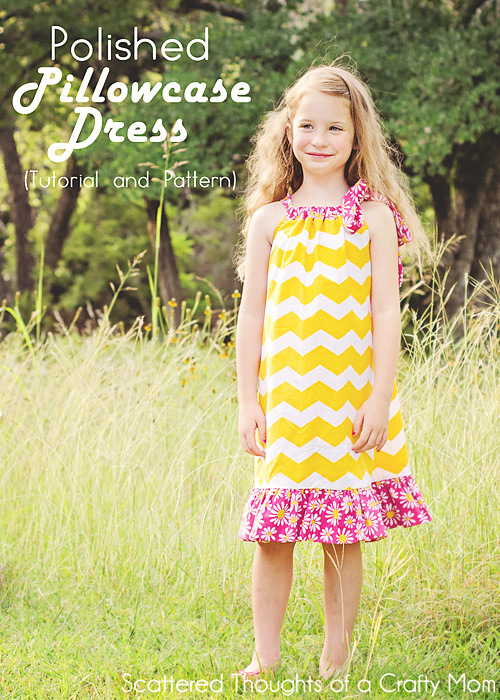 Scattered Thoughts of a Crafty Mom shares how to make a pillowcase dress. Polish the Stars turned some Legos into a business card holder. Pretty painted table from Home Made Modern. 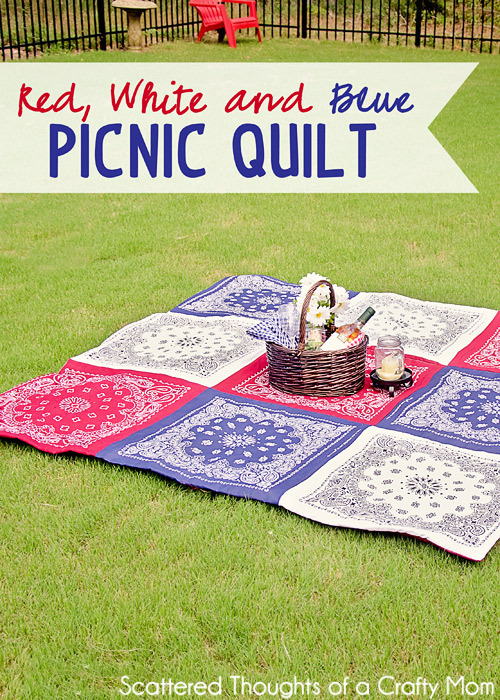 Scattered Thoughts of a Crafty Mom turned bandanas into a fun quilt. The Thinking Closet shows how to make these fun colored drinks. 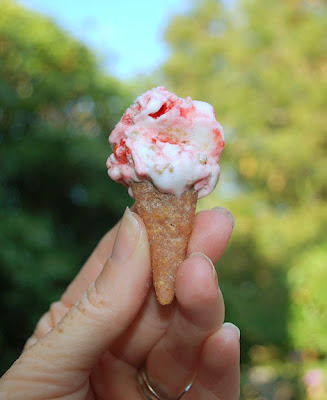 Tiny ice cream cones are adorable and yummy at The Moody Fashionista. To see the InLinkz party you will need to click through! If you’ve been featured you are AWESOME so grab a button and tell everyone! Post about anything you’ve worked on recently. *Please link back to my blog pretty please! Buttons can be found HERE. Link directly to your specific post. I pin all the weekly features. Check out the pinterest board here. I may not pin immediately, but they will eventually get pinned. By posting to this party you are giving House of Hepworths the right to feature one of your photos. Please do not pin from House of Hepworths, click through to the actual tutorial and pin from there. * Don’t link up your SHOP, STORE, OR ETSY to my party. * Don’t link up your GIVEAWAY to my party. Thanks so much for hosting. Have a great 4th of July! Why is it that summer is always so crazy! Hope it is fun-crazy for you! 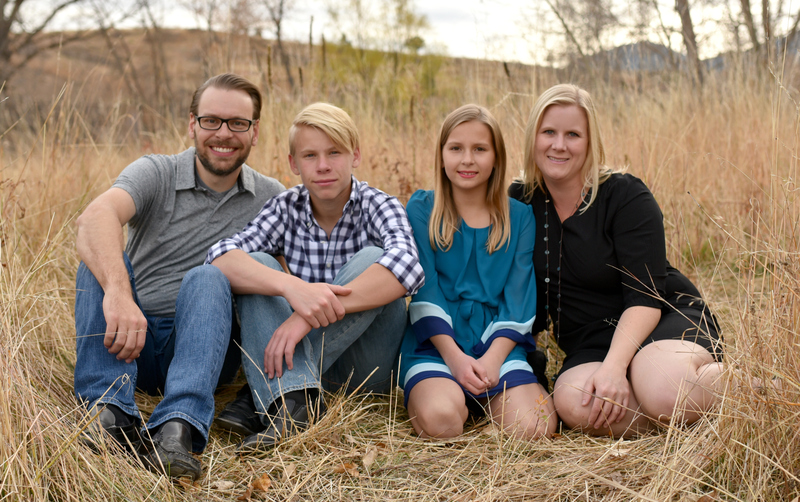 Thanks so much for hosting, Allison! Enjoy your 4th! Thank you for hosting your party again this week!! Have a great holiday! Thanks fir the party, Allison!! Thanks again for hosting! Love the features this week! Thank you for the party, and happy 4th! Thanks so much for hosting again! I hope you have a wonderful 4th! Thanks so very much for the party! Thanks for the fun party!! Thanks so much for the party, Allison! Have a very Happy 4th of July! Wishing you a fun, safe and yummy 4th Alison! Thanks for the party, have a great 4th! Thank you for hosting Allison, have a wonderful 4th of July!! Thanks for hosting this party! Have a lovely 4th and summer season with the family! Thank you for hosting, cutie! Thanks so much for featuring my patriotic drink! And I loved the other features…pinned a bunch. Happy Fourth to you and yours. 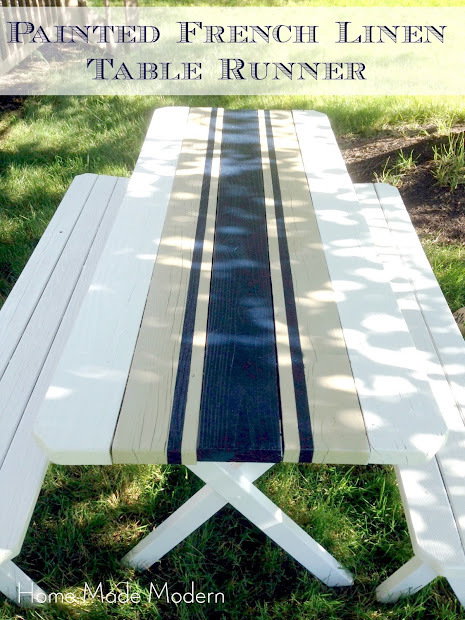 Thanks for featuring my picnic table!! Your blog makes me happy…visit it all the time! Thank you so much for hosting! there is some unbelievable talent out there! Thanks for hosting, I am a day late, hope you had a great 4th!